PHOTOGRAPHS open up new worlds. They also open up the past for us. That opening up of worlds, according to Newcastle West artist and performance artist, Micheál Rowsome, is the real fascination and power of a photograph. 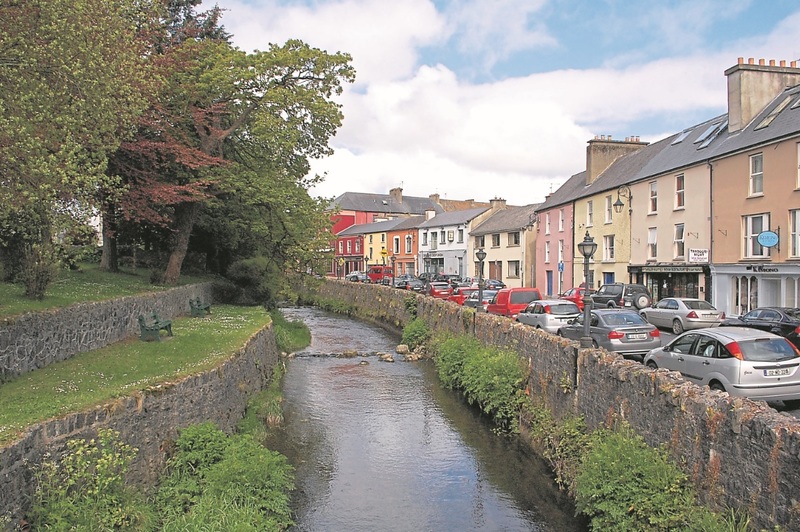 And, over the past seven years, Micheál has followed that fascination, taking tens of thousands of photographs of Newcastle West, its people and places. Now, he has distilled that huge treasury of photographs into a book, a homage to his home town, which he has called Beautiful People, Beautiful Place; Daoine Álainn, Áit Aoibhinn and which will be launched next month. “It is great to be doing it at last. It has been in the background as an idea for a long time,” he explained. However, in order to make it a reality he has launched a crowd-funding campaign which ends on August 26. Micheál’s interest in photography began early and was ignited by his mother Kate, who took a lot of photographs but who now has Alzheimers. And Micheál recalled being fascinated by all her big photo albums with photographs of her and his dad Bill when they were young and photographs of his grandparents. Photographs of people were what always interested him, he added, although in the beginning, due to shyness on both sides, the photographs were of people’s backs. “It is an amazing thing to see all the different people, the different faces and to celebrate all the difference,” he enthused. He always had the idea of producing “a big book” of photographs, he explained. “I always had the image of a big family photo album,” he said but acknowledged that the publication earlier this year of a book of old photographs of Newcastle West provided the impetus he needed to focus on making his dream a reality. “It is intended as a celebration, a love letter, an historical document, a look at Irish life, a store of memory, a journey, a way of living, a bathroom companion and a medium of expression,” he said of the concept for his book. And while the book focuses on Newcastle West, he believes the themes are common to all of us and that we can all relate to them. “I have tried to put some sort of structure to it,” Micheál explained. At 450 pages, it will be a big, big book with over 600 photographs. “I have people dotted through the book,” he explained. But other sections deal with nature, landscapes, the town’s built heritage or with events such as boxing and matches. The town in different light is also a thread running through the book and there is some text, with his thoughts. It will, he believes, be a kind of social document for the future. At the heart of the project, however, is the human and the common humanity we share. In the era of the photo-shopped and clichéd selfie images, it is the beauty that is in all of us that he wants to capture. But in compiling the book, he has had to trawl and trawl again through thousands of images, making difficult choices. He has cut out thousands but hundreds have been selected. “It is massive,” Micheál conceded. . Given the size and quality of the book, (“It is almost A4 size”), Micheál reckons it will cost about €10,000 to produce and he is crowd-funding for €6,500 of this and has high hopes of reaching his target by August 28 when it closes. Meanwhile, Micheál is getting the last details ready for printing. He plans to launch the book on September 21, Culture Night in Newcastle West. To support Micheál, go to https://fundit.ie/project/beautifulpeoplebeautifulplace-photobook.